This novel does get a lot better in its final seventy pages, but for a couple of hundred pages it is simply too normal and I did not want to turn those pages. It’s a regular, non-experimental novel, regular length, regular structure. It is dialogue-based between a small cast of main characters and the dialogue is fine, but not extraordinary. The characterisation is fine, but not exceptional. The plot is repetitive - that’s the point - though with revelations introduced, but perhaps not enough of them. 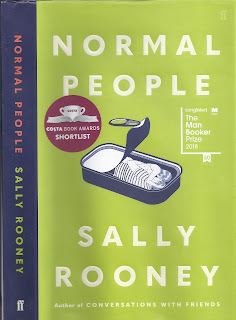 It’s a coming of age story or, more grandly, a Bildungsroman set in a contemporary Ireland from which the priests and the fascists have been eliminated and the currency is the €uro. It’s a novel which could only have been written there in the fairly recent past; fifty years ago, it would have been banned even if conceivable and the author would have gone to live in a free country. The core story of the on-off relationship between Marianne and Connell from school days to graduate studies is well developed, often delicately so, and only towards the end did I feel there were moments of authorial intrusion into their evolving consciousness - pages 198-99; p 221; p 239, for example. There are very few jokes and I suspect that the humour at page 235 where a man lays down the second half of a football match for his woman is unintentional. For an older reader like me, there were a few puzzles. 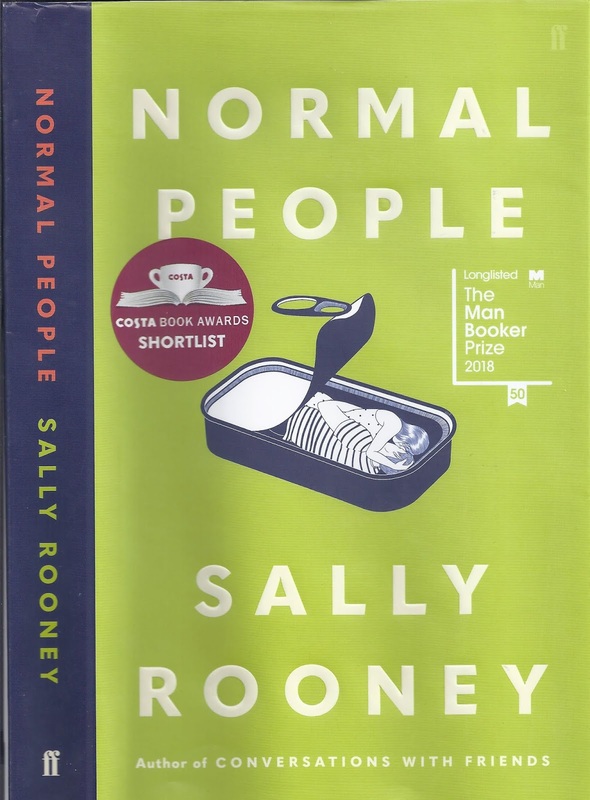 I get the bit about being interconnected via social media, but Rooney’s characters live in a world where gossip is the norm, and where people are very anxious about their current gossip-status. Is it really that bad? Is that what it’s like for normal people? Likewise, they cling to their groups, so that the school group lives on even after everyone has gone their separate ways. For some people, the rule is surely never to go back but rather to keep on moving away. In this novel, no one does that even if they travel and study in foreign countries. The novel could be compared to Elif Batuman's The Idiot about which I wrote here on 24 June 2018, but whereas I did not finish Batuman's book, I did finish this one.